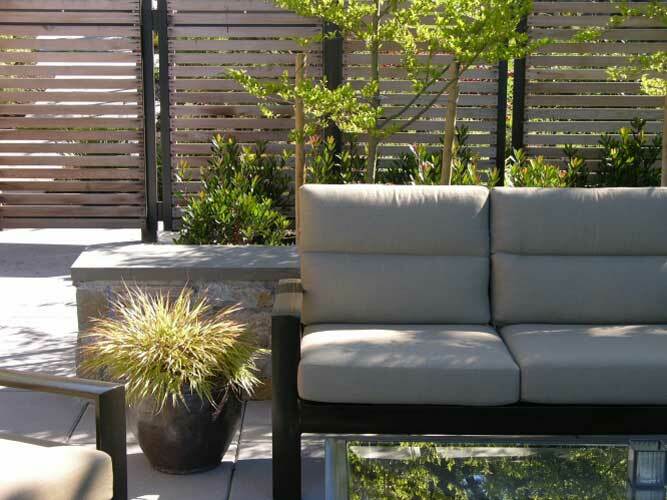 A remodel of the kitchen and entryway of this residence presented the opportunity to restructure the relationship of the garden to the house: creating both a private eastside morning terrace and a broad, view oriented west side entertainment space. 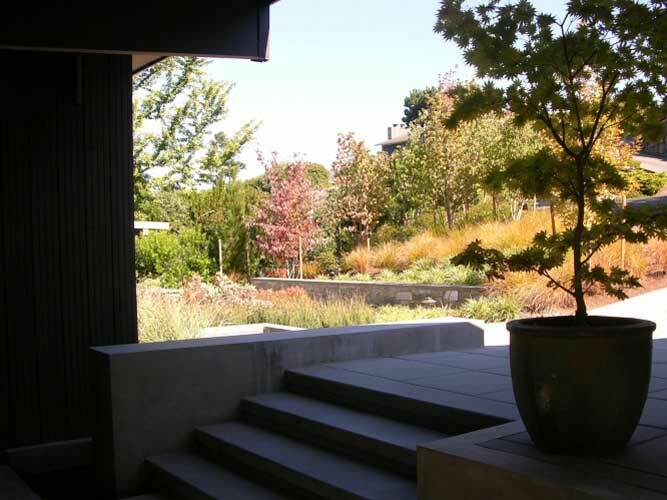 The sloping entry garden, planted with grasses and multi-stem Dogwoods provides a filtered privacy screen between the street/entry drive and new kitchen terrace. 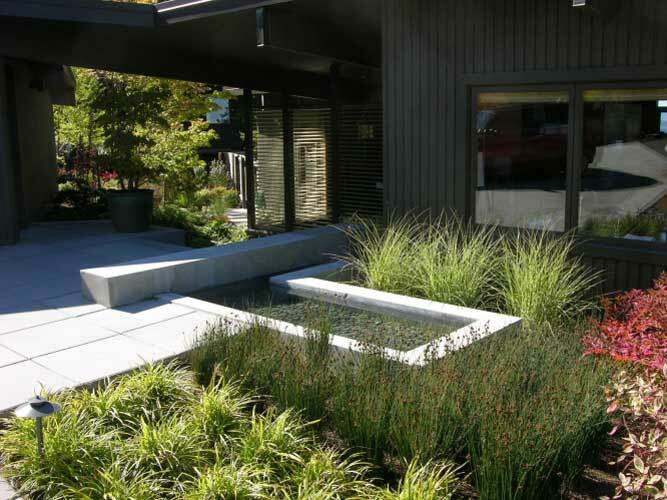 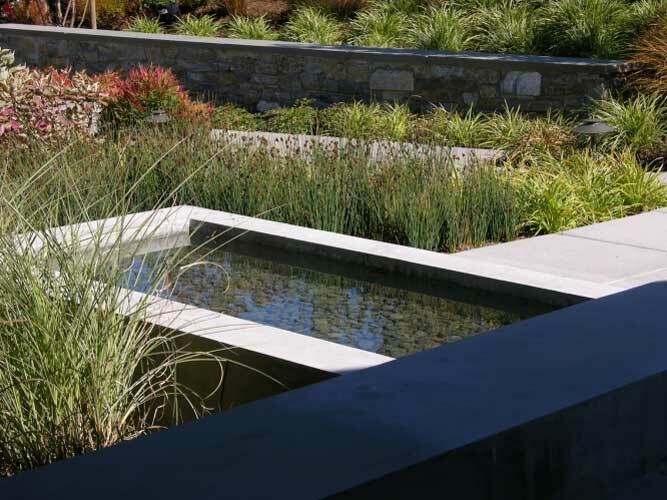 The approach to the main door features wide steps adjacent a simple concrete spillway and pool, edged with plantings of rush and sedge. 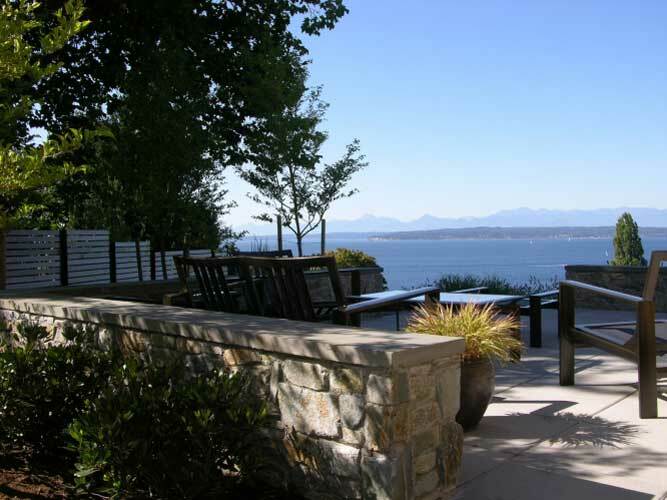 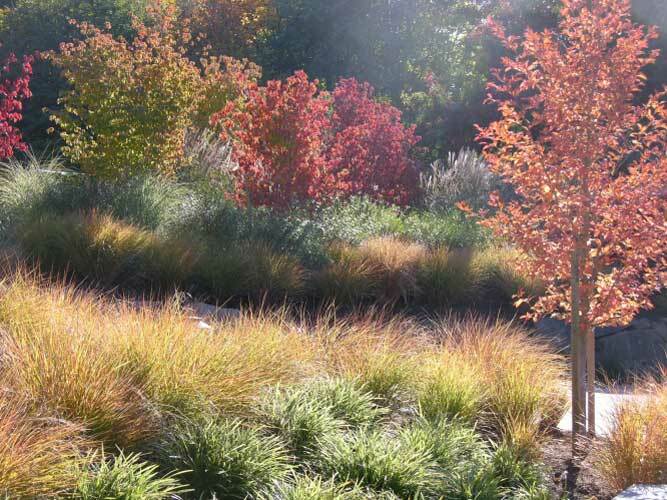 An expansion of the west terrace takes advantage of spectacular Puget Sound and Olympic Mountain views, with swaths of Bluestem, Fountain Grass and Lavender covering the foreground slope from terrace edge to the informal lawn sweep below.